So SCP-1507 was my first suggestion ever, so there were a few issues. I am now (sadly) going to make a revised suggestion of SCP-1507. SCP-1507 is a plastic lawn flamingo that is hostile to all staff of the SCP Foundation. SCP-1507 attacks by scratching and puncturing with it's metal stands. SCP-1507 is weak to the same forces as normal plastic. Weakness: Players who wear the a vests have a lower chance of bleeding from SCP-1507's LMB and RMB. Each vests changes the bleeding chance differently. Players who wear a vest have a lower chance of bleeding. Each vest has a different decrease in chance of bleeding. Example: 30% (LMB) hits an enemy with a MTF Guard vest. The 30% chance of bleeding decreased to 20%. -Guard Vest (TRO): 10% less chance of bleeding from SCP-1507's LMB and RMB. NTF Vest: 15% less chance of SCP-1507's bleeding effect. NU-7 Vest: 20% less chance of 1507's bleeding effect. Fire Resistant Vest: 10% less chance of bleeding from SCP-1507. Tau-5 Vest: 15% less chance of 1507's bleeding effect. -Epsilon-9 Vest: 10% less chance of 1507's bleeding effect. It's RMB stuns both SCP-1507 and the enemy it used it on for 4 seconds. Both SCP-1507 and the enemy are vulnerable to any attack. Use the Lawn Flamingo from 1950s Pack II. Seems kind of bland, but okay. Not as bland as my original suggestion. Didn't you say something about him being able to pick up key cards? No. Your thinking of SCP-659. Oh, then I guess this could just be a simple scp if it is added because it's pretty balanced for the most part. You turn the corner of the street, it's that one old house with thousands of lawn flamingos. As you walk past you feel eyes follow you, so you turn around. 25 of the 100 or something flamingos are turned towards you, as you feel a shiver you think "It's just a coincidence. It's just a coincidence. It's just a coincidence." You turn back to see 100 flamingos behind you, DUN DUN DUN. Honestly this SCP is the good kind of ridiculous. it could be better tho and this seems just filler or to exist on the server to exist. You can say the same with literally any SCP. I feel like this SCP is really simple. The special is just a bigger restatement of its primary, and bleeding alone doesn't do that much. Though it deals damage by itself, it's just a "click m1 to die" SCP and doesn't really do anything unique. I think their targets may die quicker with the damage given before they even realize their bleeding. A lot of the damage can be nullified by vests, which yeah, it's a weakness for balance, but it seems that a large part of this SCP is focused on bleed chance reduction, so that's kinda' weird. May need to polish this up with some extra' mechanics. 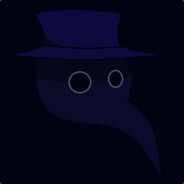 This has potential for being a relievingly comical scp to see SCP like 681, but still being a threat at the same time.